Occasionally an album comes along that has that fire, that smoldering spark your soul requires. 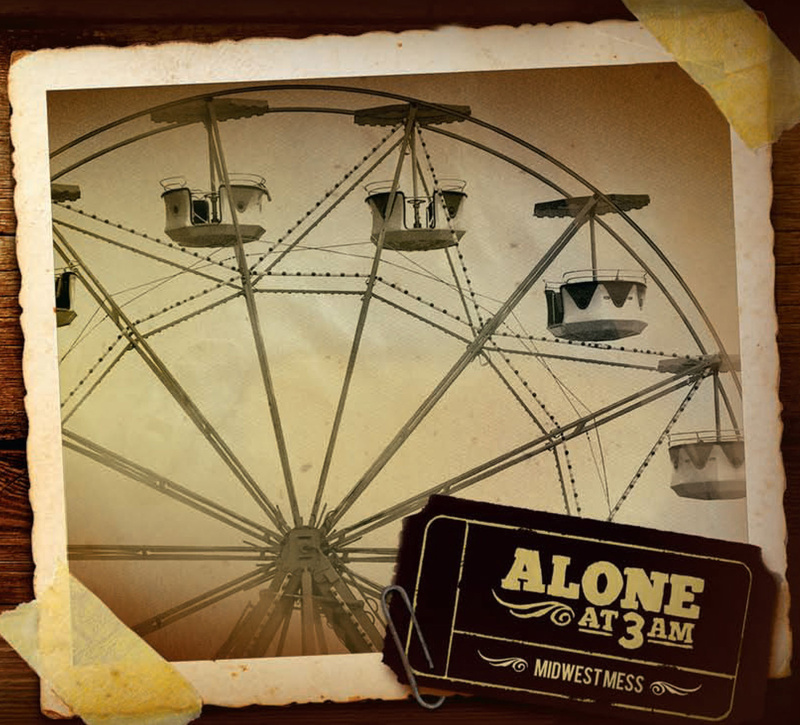 For me, Midwest Mess by Alone at 3AM is one of those albums. Part of the Suburban Home Records stable, Alone at 3AM’s attitude is one derived from years in our nation’s rust belt. Unlike fellow southwestern Ohio brethren, Alone at 3AM could be easily mistaken for a band geographically associated with the southern half of the United States on first listen. I don’t like to compare bands but in this case there is justification: five members, one being female and providing harmony. Trembly guitar. Songs about family and domestic strife. I can’t think of a band that is closer kin to Glossary than Alone at 3AM. Starting and ending with these lines, no resolution is offered. None is required as you know how the story ends. Therein lies the beauty of Alone at 3AM’s songs: familiar and comfortable yet wholly their own. With its punkish vibe, “Wolf in the Woods,” is a perfect summation of the band’s sound and the truth held in the 10 vignettes on Midwest Mess. Alone at 3AM is clearly a band comfortable with their place in the world. They have made an indelible mark in mine. Stream Midwest Mess and download “Weekends at the Cape” below.